Near Kiyomizu Temple is a café where you can get is delicious coffee and Western food. The café has expanded to seven locations within the city of Kyoto. The Kiyomizu branch café features a beautiful Japanese garden that can be viewed from the tables. Although the area is crowded with tourists, the spacious interior is quiet. You can relax and take a leisurely break. The café is also conveniently located midway between Kiyomizu Temple and Kodaiji Temple, along the standard tourist route, making it a perfect stop for lunch or a break. This brew has an especially rich aroma, but its low acidity makes it very easy to drink. 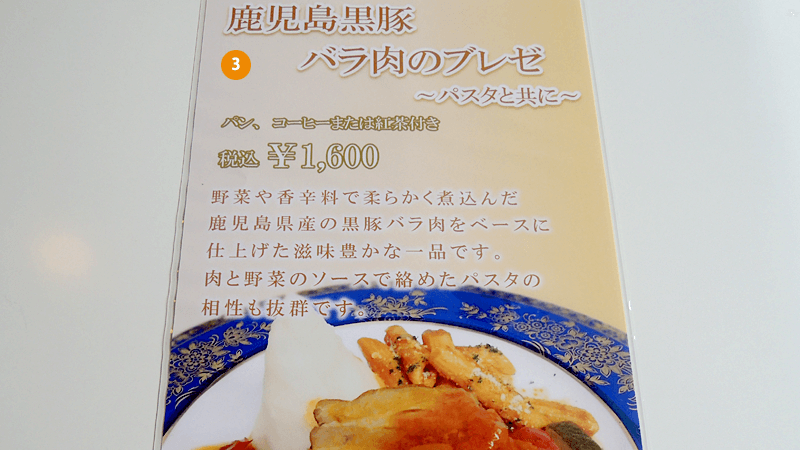 The set menu is recommended for lunch. The portions are not large, so you can have cake for dessert. * Photo taken in September, 2015, shows the braised pork back ribs. 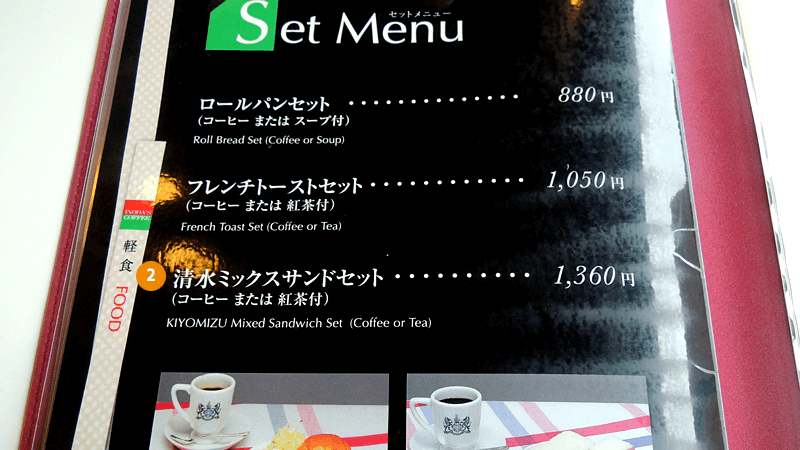 The Kiyomizu café set menu. The sandwich of ham, eggs, and vegetables has nine slices. When you are a just slightly hungry, we recommend you share it among several people. Coasters with cute illustrations. Recommended as a memento of your visit or as a souvenir. The monthly fixed menu of sandwiches is recommended for lunch. If you are hungry, you will have enough room to also order cake for dessert. 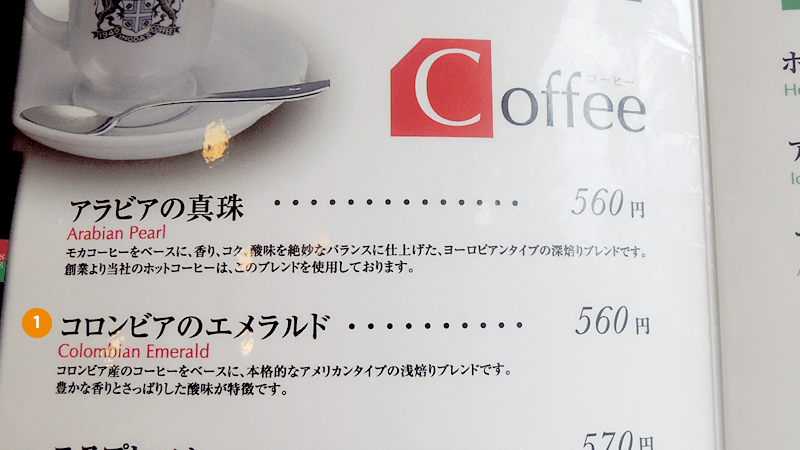 ・When you order coffee, you will be asked if you want milk and sugar in it. Tell your server that you want milk only, sugar only, or both, as you choose. ・The café has a separate smoking section. If you want to smoke, ask you your host/ess for the smoking section when you first arrive. We recommend a table from which you can see the Japanese garden. After your meal, you can walk through the garden. From the JR Kyoto Station, a 15-minute ride on city bus route 206 bound for the Higashiyamatori Kitaooji Bus Terminal. Get off at the Shimizu-doori stop, and walk 10 minutes from there. Crowded during lunch time (12-2pm) on holidays. There is English on the Japanese menu.